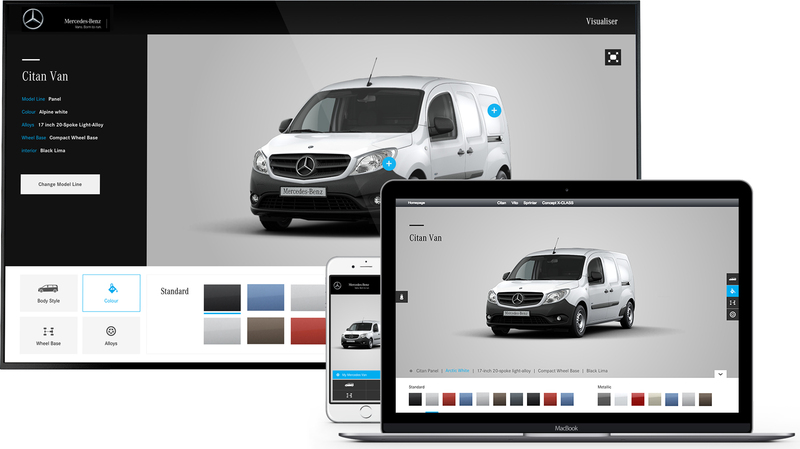 Visualiser for Mercedes-Benz vans that sat on both the website and POS touch screens. 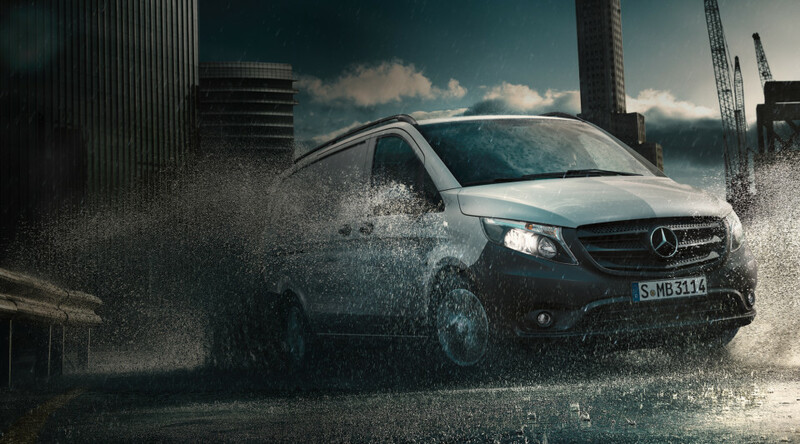 With so many configuration options for Mercedes-Benz vans, there was a need for a visualiser for users to visualise their ideal van configuration. We were set the brief of creating a 360 visualiser with a configurator tool that would sit on the eMB website and also on the 22″ touch table screen within retailers, pop-up stores and events. I started this project by sketching out concepts of how the visualiser could work, taking on inspiration from what Mercedes-Benz did with their passenger cars configurator and other automobile configurators. I quickly established that we would need two designs for web and the POS touch screen. Once we had a solid idea of how it would work across, I began wireframing up all the screens and moved onto finalising designs from there. The tool had to sit on the EMB website and so needed to be designed at 3 break points (desktop, tablet & mobile). Making this tool work on mobile was a challenge as their were a lot of interactions in a small amount of space. We had to explore ways of re-working the interactions to fit ergonomically in the limited space such as introducing tilt panoramic feature (that also worked great with vr!) to explore the 360 and hotspots to jump into sections instead of buttons. The POS application had to sit on a 22″ touch screen that are placed within dealerships, therefore had to be simple and easy to use. Due to the usage difference from the visualiser on the website, we had to adapt the design to fit its purpose. The client also wanted to include hotspots that revealed further information about certain features like safety and performance.